and will be indefinitely. Vote smart and stay well. Health care in our country is a very political animal. Because of the huge amount of money there is to be made, namely by the health insurance industry, there are many special interests trying to claim their piece of the pie, and in doing so they have created the mess that is health and care in this country. What other democratic and industrialized nation in this world has the process of health care delivery sitting before a court that may well decide that people like my husband don’t deserve to be able to purchase affordable insurance to live? The answer is none. And why do people who have no idea what it is to have a life-altering or threatening disease, through no fault of their own, feel the need to try and take away health care from those who need it? I have no answer for that but it is something this family is faced with every single day. From people on Twitter who regularly harangue me for speaking out in favor of the Affordable Care Act to yes, family members who are against it, I have to remind them all that the Affordable Care Act is saving lives. I also remind them that getting sick is part of the human condition and some of us get more sick than others. And without the Pre-Existing Condition Insurance Plan, my husband and many others would die. It is that simple a truth; that black and white. We pay a premium every month, just like those who have insurance through their employer. Until 2014 when the law is fully enacted (depending on the Roberts court, of course) and the health insurance exchanges are set up, your employer is the only access point for affordable health care. 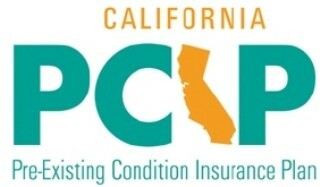 The PCIP is a pool of people who the health insurance industry won’t insure. Why? Because the health insurance industry does not like to spread their risk pool out to people with diseases like Multiple Sclerosis or cancer because they know they will have to pay claims for these people. It’s the same with Medicare, the health insurance industry got rid of their most expensive risk pool, those over 65, when Medicare was created. All insurance is a risk pool, we all pay into that pool to cover each other. I may never have a claim because I am healthy but my money goes to cover those who do and vice versa–that’s how insurance works. Imagine if we just opened up the Medicare risk pool to everyone, cradle to grave, and we all had the chance to pay into it. We’d solve all our problems, both with Medicare solvency and with insuring all our citizens. The next time you hear someone, anyone, claim the Affordable Care Act is not affordable, ask them if they think it’s all right in this country of ours to allow one industry the right to deny care over and over again while taking in billions in profit. Ask them if health care is not already “rationed” by the health insurance industry, because it is. Just ask the parents of Kyler Van Nocker or Nataline Sarkisyan. Ask them if my husband, and other citizens of this country, have the right to be able to see their children grow up by having access to medications. Ask them if denying access to affordable care isn’t infringing on your personal liberty. Ask them if they even know that Medicare is a government run program that saves senior citizens from bankruptcy and death. See what they say and the answer you receive will tell you everything you need to know about their morals and their character. Everything. We’ve written about Opexa before because they seem to understand that NOT killing the patient is the best way to try and treat Multiple Sclerosis. THE WOODLANDS, Texas, Apr 19, 2012 (BUSINESS WIRE) — Opexa Therapeutics, Inc. OPXA -0.24% , a biotechnology company developing Tovaxin(R), a novel T-cell therapy for multiple sclerosis (MS), announced today that the Company will be holding a preliminary meeting with prospective clinical trial investigators at the 64th Annual American Academy of Neurology (AAN) Meeting in New Orleans on April 24, 2012. The purpose of this meeting will be to discuss the upcoming Phase IIb clinical trial using Opexa’s T-cell therapy in patients with Secondary Progressive Multiple Sclerosis (SPMS). The proposed Phase IIb clinical trial will be a randomized, double-blind, placebo-controlled study of Opexa’s T-cell therapy in SPMS patients with evidence of disease progression without associated relapses. The study, to be initiated once the necessary resources are secured, is expected to treat approximately 180 patients in up to 30 sites in the United States and Canada with annual courses of treatment for two years. Opexa Therapeutics, Inc. is dedicated to the development of patient-specific cellular therapies for the treatment of autoimmune diseases such as multiple sclerosis (MS). The Company’s leading T-cell therapy, a personalized cellular immunotherapy treatment, is in clinical development targeting both Secondary Progressive and Relapsing Remitting MS. Opexa’s T-cell therapy is derived from T-cells isolated from peripheral blood, expanded ex vivo and reintroduced into the patients via subcutaneous injections. This process triggers a potent immune response against specific subsets of autoreactive T-cells known to attack myelin and, thereby, reduces the risk of relapse over time. This press release contains forward-looking statements which are made pursuant to the safe harbor provisions of Section 27A of the Securities Act of 1933, as amended, and Section 21E of the Securities Exchange Act of 1934, as amended. The words “expects,” “believes,” “anticipates,” “estimates,” “may,” “could,” “intends,” and similar expressions are intended to identify forward-looking statements. The forward-looking statements in this release do not constitute guarantees of future performance. Investors are cautioned that statements in this press release which are not strictly historical statements, including, without limitation, statements regarding the development of the Company’s product candidate, Tovaxin, constitute forward-looking statements. Such forward-looking statements are subject to a number of risks and uncertainties that could cause actual results to differ materially from those anticipated, including, without limitation, risks associated with: our capital position, the ability of the Company to enter into and benefit from a partnering arrangement for the Company’s product candidate, Tovaxin, on reasonably satisfactory terms (if at all), our dependence (if partnered) on the resources and abilities of any partner for the further development of Tovaxin, our ability to compete with larger, better financed pharmaceutical and biotechnology companies, new approaches to the treatment of our targeted diseases, our expectation of incurring continued losses, our uncertainty of developing a marketable product, our ability to raise additional capital to continue our treatment development programs and to undertake and complete any further clinical studies for Tovaxin, the success of our clinical trials, the efficacy of Tovaxin for any particular indication, such as Relapsing Remitting MS or Secondary Progressive MS, our ability to develop and commercialize products, our ability to obtain required regulatory approvals, our compliance with all Food and Drug Administration regulations, our ability to obtain, maintain and protect intellectual property rights (including for Tovaxin), the risk of litigation regarding our intellectual property rights, the success of third party development and commercialization efforts with respect to products covered by intellectual property rights that the Company may license or transfer, our limited manufacturing capabilities, our dependence on third-party manufacturers, our ability to hire and retain skilled personnel, our volatile stock price, and other risks detailed in our filings with the Securities and Exchange Commission. These forward-looking statements speak only as of the date made. We assume no obligation or undertaking to update any forward-looking statements to reflect any changes in expectations with regard thereto or any change in events, conditions or circumstances on which any such statement is based. You should, however, review additional disclosures we make in our reports filed with the Securities and Exchange Commission, including our Annual Report on Form 10-K for the year ended December 31, 2011. If I was paying money to monitor those who I may perceive as a threat (my husband does have Multiple Sclerosis and I am a health care activist and I guess that does make us scary threatening to some) I would hope that those I pay have some, what’s the word–subtlety. For those of you not familiar with Cyveillance, they monitor websites; more details below from Wikipedia. They were a big visitor to Illness and Insurance Hell all during 2009 when President Obama was trying to pass health care reform. Cyveillance, founded in 1997, is a private Internet-monitoring company based in Arlington, Virginia and provides an intelligence-led approach to security. The company’s subscription-based product, the Cyveillance Intelligence Center, is a hosted solution. Companies hire Cyveillance to monitor for Internet risks such as: Information leaks; Phishing and malware attacks and other online fraud schemes; Sale of stolen credit and debit card numbers; Threats to executives and events; Counterfeiting; and Trademark and brand abuse. Cyveillance was bought in May 2009 by the UK firm QinetiQ, for an initial cash consideration of $40 million. Cyveillance’s clients include the pharmaceutical industry and entities within the entertainment industry, particularly music and movie concerns, specifically, the RIAA and MPAA. Cyveillance runs scans which attempt to gain unauthorized access to P2P networks, Web servers, IRC servers, FTP servers, and mail servers, searching for mp3 audio files and movie titles. After running the scan, the site scanned is archived, and the information sold to the RIAA and/or MPAA. And more about Cyveillance directly from their website here. We write a lot here about group long term disability policies and what bogus products they are. So much so, it is financially unsound to trust these policies to take care of you should you become injured, sick or disabled. A particularly egregious example of just how worthless group policies are is seen in a case that made it to the Supreme Court (please note how the dissents fall in strict Citizen’s United lines) in Metropolitan Life Insurance Company v Glenn where MetLife was both the insurer and administrator of the group plan that insured Ms. Glenn–a huge conflict of interest. It’s like having the fox watch the hen house. The plan grants MetLife (as administrator) discretionary authority to determine whether an employee’s claim for benefits is valid; it simultaneously provides that MetLife (as insurer) will itself pay valid benefit claims. App. 181a–182a. MetLife sought Supreme Court review because of an earlier decision that forced MetLife to pay Ms. Glenn her benefits. MetLife spent a lot of money on this because of the precedent it set: An insurance company had to make good on a long-term disability claim and pay benefits to a person who became too disabled to work full time. Ms. Glenn was a Sears employee who was diagnosed with severe dilated cardiomyopathy. She had dutifully paid her premiums and now she needed to use her benefits since she was too sick to work due to heart failure. Respondent Wanda Glenn, a Sears employee, was diagnosed with severe dilated cardiomyopathy, a heart condition whose symptoms include fatigue and shortness of breath. She applied for plan disability benefits in June 2000, and MetLife concluded that she met the plan’s standard for an initial 24 months of benefits, namely, that she could not “perform the material duties of [her] own job.” Id., at 159a–160a. MetLife also directed Glenn to a law firm that would assist her in applying for federal Social Security disability benefits (some of which MetLife itself would be entitled to receive as an offset to the more generous plan benefits). MetLife directed Ms. Glenn to a law firm to make sure she got Social Security so they could off-set her benefits. CIGNA and all the other insurers do the same. See my earlier blog postings at Illness and Insurance Hell. Just follow the money. MetLife received the bulk of those retroactive benefits due to offsets written into the language of the policies themselves. These group disability policies are, in essence, bogus products; don’t waste your money. The Social Security Administration consequently granted Glenn permanent disability payments retroactive to April 2000. Glenn herself kept none of the backdated benefits: three-quarters went to MetLife, and the rest (plus some additional money) went to the lawyers. This was what the Social Security agency said as well, but with help from the law firm they sent Ms. Glenn to, MetLife pushed, and received, tax payer dollars in the form of Social Security dollars. They burden the Social Security system. In particular, the court found questionable the fact that MetLife had encouraged Glenn to argue to the Social Security Administration that she could do no work, received the bulk of the benefits of her success in doing so (the remainder going to the lawyers it recommended), and then ignored the agency’s finding in concluding that Glenn could in fact do sedentary work. See id., at 666–669. This course of events was not only an important factor in its own right (because it suggested procedural unreasonableness), but also would have justified the court in giving more weight to the conflict (because MetLife’s seemingly inconsistent positions were both financially advantageous). And the court furthermore observed that MetLife had emphasized a certain medical report that favored a denial of benefits, had deemphasized certain other reports that suggested a contrary conclusion, and had failed to provide its independent vocational and medical experts with all of the relevant evidence. See id., at 669–674. All these serious concerns, taken together with some degree of conflicting interests on MetLife’s part, led the court to set aside MetLife’s discretionary decision. The Court of Appeals ultimately set aside MetLife’s denial of benefits in light of a combination of several circumstances…(3) MetLife’s focus upon one treating physician report suggesting that Glenn could work in other jobs at the expense of other, more detailed treating physician reports indicating that she could not; (4) MetLife’s failure to provide all of the treating physician reports to its own hired experts; and (5) MetLife’s failure to take account of evidence indicating that stress aggravated Glenn’s condition. See id., at 674. If you are wondering why this happens, it’s simply due to corporate greed and money–lots of money. These group policies are huge money makers for the large health insurance companies and they rake in billions in profits each year from them. Paying out claims to people with Multiple Sclerosis is not what they want to do–their interests lie in fattening the bottom line. As financial tools, they are worthless and a waste of your hard-earned dollars. You have alternatives such as private policies. Save your money and look elsewhere. And if you think these policies need to be better regulated or ERISA should be removed or rewritten as law, write your members of Congress. That’s what we pay them for. Your health and well-being do not matter to large corporate entities no matter how much they try to spin it otherwise. See AHIP. Government approved health insurance? In 2014 it will be a mandate to buy insurance from private companies who pay to finance your campaigns, Senator. The government has given a gift to the private companies with this mandate rather than setting up a government run program, like Medicare, to give them some competition. What’s the solution–private health insurance or a government run program like Medicare for Everyone? 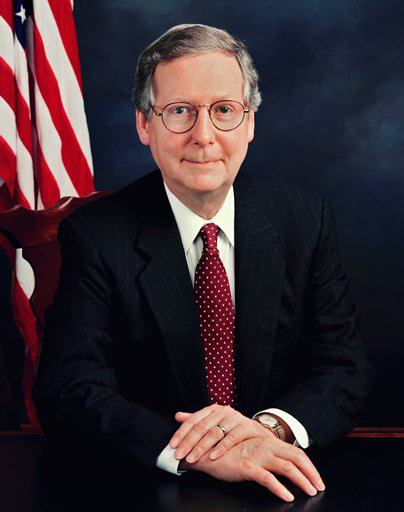 No, of course there are no delays or denial of care now, Senator McConnell because we only have 45,000 Americans die each year due to lack of health insurance, so a public program that would cover everyone would lead to–coverage and health care? The government has taken over the banks? The insurance companies? The auto industry? When did that happen? The only bureaucrats standing between patients and their doctors work for CIGNA, UnitedHealth, WellPoint and all the other health insurance companies. Senator McConnell enjoys some of the finest government subsidized health care in the world thanks to the United States taxpayers, the Federal Employee Health Benefits Program. Ask the Senator from Kentucky if we should extend that government program to all United States citizens. Did you know your tax dollars are used to subsidize private health insurance companies? If you are unfamiliar with Social Security Disability Insurance, here is an excellent primer put out by AARP. SSDI provides protection specifically to qualified U.S. citizens who become disabled and lose their ability to earn an income. We all pay for this through our Social Security taxes. It’s one of the many benefits of being a United States citizen. When my husband was employed at Fidelity Investments he had a group disability insurance policy with CIGNA. He even purchased extra coverage–to protect our family with 80% of Paul’s income just in case something happened. But that money was ill-spent as CIGNA did everything in their power to deny coverage to a man with Progressive-Relapsing Multiple Sclerosis. This is not unusual behavior for any private insurance company. In fact, it’s exactly what they do. But first, you must apply for Social Security Disability Insurance. When Paul was mid-way through with short term disability and it appeared he was getting progressively worse and not better, CIGNA telephoned us to inform us that they were getting his file ready for long term disability. Great, we thought, they are helping us! Isn’t that what they collect a premium each month for? The answer to that is, no. They collect a premium each month to make money. Keeping that money and not paying it out in claims helps their bottom line. From the Group Life Market Survey 2009 outlining the sales in disability insurance, you can see group sales disability totaled $1.3 billion at mid-year, with 27 private insurance companies covering 95% of the total market. Why does a private insurance corporation demand that you apply for government benefits? Money, that’s why. If you qualify and receive Social Security Disability Insurance then your insurance company will off-set the amount of money they contractually owe you by the amount of money you will receive from the government. For example, if Paul’s CIGNA policy was to have paid him $5,000 a month and SSDI would give him $2,000 a month, then CIGNA would subtract that amount and only give Paul $3,000 a month. Your tax dollars are used to subsidize private corporations. Your money is used to fatten the bottom lines of Aetna, AIG Benefit Solutions (that’s how much now in government money for AIG?) CIGNA, Guardian Life, Hartford Life, Mutual of Omaha, Northwest Mutual, Prudential, Sun Life, UnitedHealthcare, Unum and Wellpoint, to name but a few. Why pay a premium at all? An entire industry has been set-up surrounding group disability plans to help private insurers NOT pay the claim. The last one is of particular interest to me because that is exactly what happened to this family. This family, faced with zero income as Paul had been the sole bread winner for most of our married lives, had to return to work at Fidelity Investments, disabled. This is something the insurance company counts on to help bolster their claim that you are not disabled. Medical evidence that you are disabled will not prevail. This conference, and others like it, focus on how to prevent paying a claim, and it does not matter if the claim is legitimate, what matters is the corporate bottom line. The American Conference Institute also has another conference dedicated to defending ERISA claims attended by more federal judges–the very same ones who will hear your ERISA disability case. Your premium dollars, the ones you work so very hard to pay each month to your private insurance carrier, are not spent on paying a claim should you wake up one day with cancer, MS or become injured in an accident. No. Those hard earned dollars are spent on figuring out how not to pay you. And then, they use your tax dollars to reduce the amount they owe you. United States taxpayers, it’s time to say enough. Group long-term disability policies are bogus products. They should either be highly regulated or not allowed to be sold at all, as the poorly written policies and the attendant machines put in place by the insurance companies to deny all claims, make the products fraudulent and worthless. CIGNA written brochure for brokers about their long term disability product. Dell and Schaefer, a law firm, discussing CIGNA including the LINA settlement in California.